As if it isn’t hard enough to ask that girl to the prom, she’s now said “yes!” so then comes all the stuff that you feel like you have no clue about. There’s the tuxedo, the limo, and lining up the parties. Then, there may be that very unfamiliar territory that involves flowers – get used to it because women love flowers and this is the first of many times you’ll be picking out flowers! 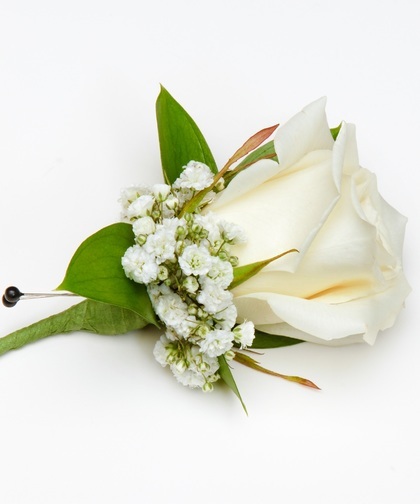 You’ll need a prom corsage for your date, and you may even want to add a little flower to your tuxedo jacket to match – this is called a boutonniere by the way and it gets pinned to your jacket. Your girl will admire your confidence to add a flower to your own prom ensemble. 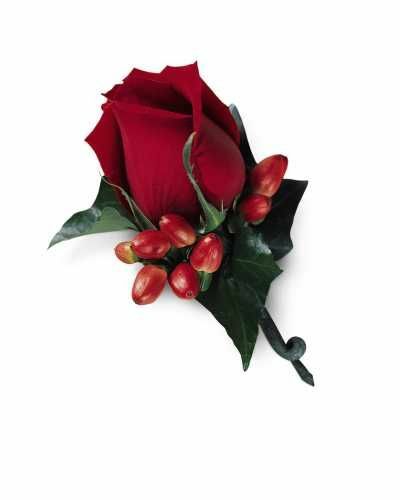 And, lastly, it might bode well to pick up a rose or small bouquet for your date’s mom (bonus points!). Now that you know what you need to get, the next part is figuring out the right color, size, flowers and, of course, price. 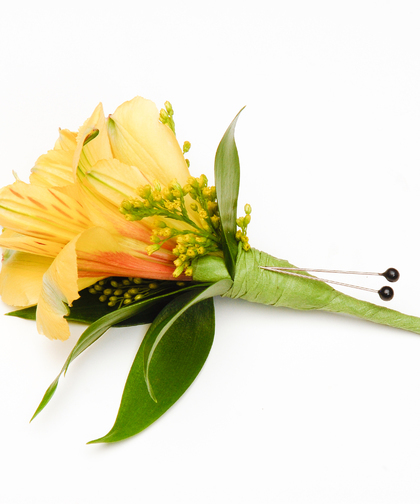 A boutonniere typically only has one flower like a rose bud, orchid, or a mum. These are pretty durable and can withstand hugs and those slow dances when you get a little closer. Try to avoid flowers that bruise easily or tend to fall apart like lilies. Keep the flower at a size that fits. You don’t want a large, overpowering flower where your date and friends mistake you for a clown. But, you also want to make sure it’s not so tiny it gets lost. 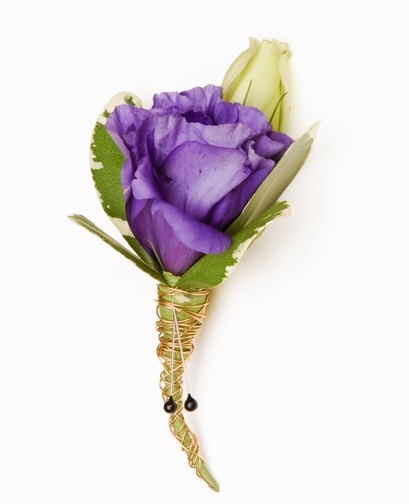 Lastly, make sure you can somehow coordinate it with your date’s prom corsage. 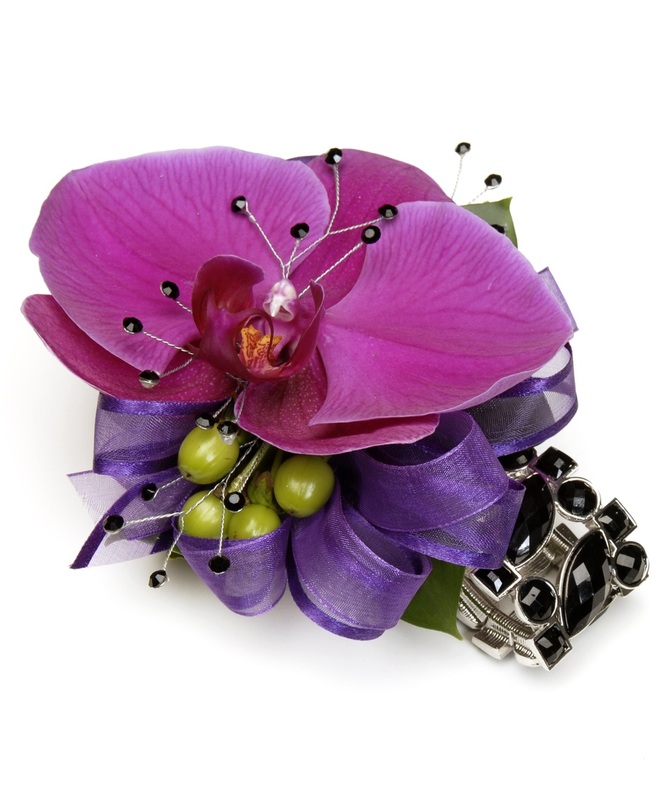 Don’t be nervous about picking out a prom corsage. Simply follow the same rules in terms of size and durability as well as just simply ask your date. She will gladly share her opinion. 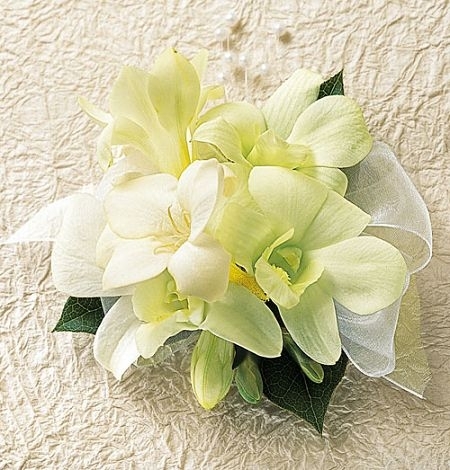 You can also ask her about colors and style of corsage. 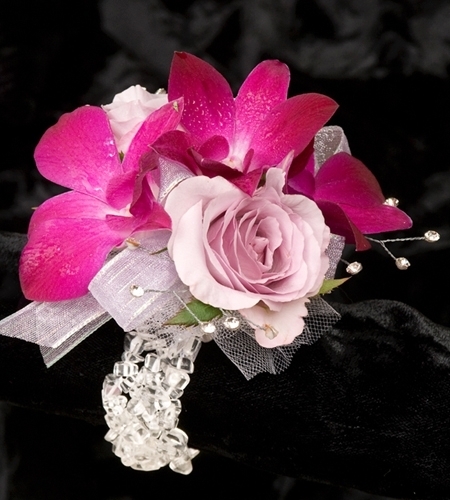 Prom corsages can be traditional wrist corsages or they can be pin-on, non-traditional, or bracelet style. Keep the number of flowers low so that you can add some foliage or other interesting features that will make your date standout and add to her beauty. 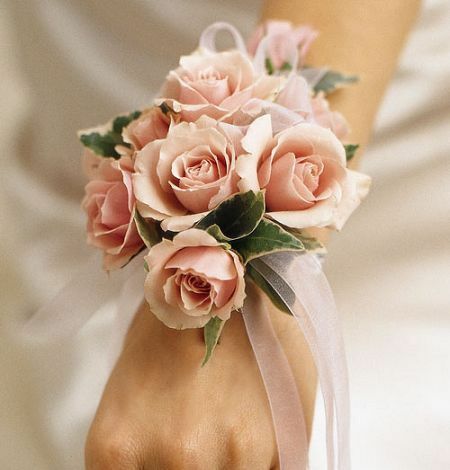 You don’t have to go overboard with flowers to impress your date’s mom – after all, you are most likely on a tight budget. 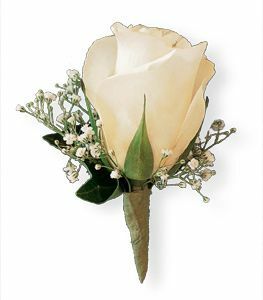 A single rose or small bouquet provides a way to show your respect and thanks for her trust in letting you take her daughter to prom. It might even buy you an extra hour on the clock before you must bring her home! 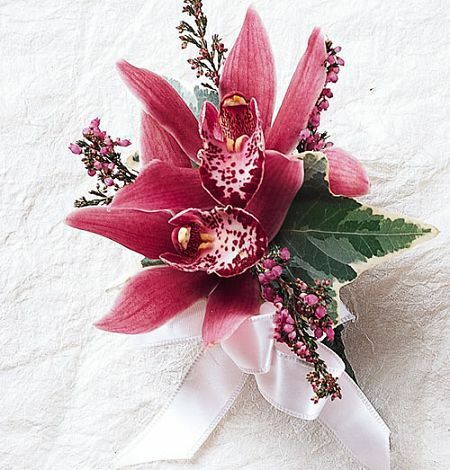 You’ve chosen the perfect prom dress and your date will surely look dashing in a tux, but don’t forget your prom flowers! 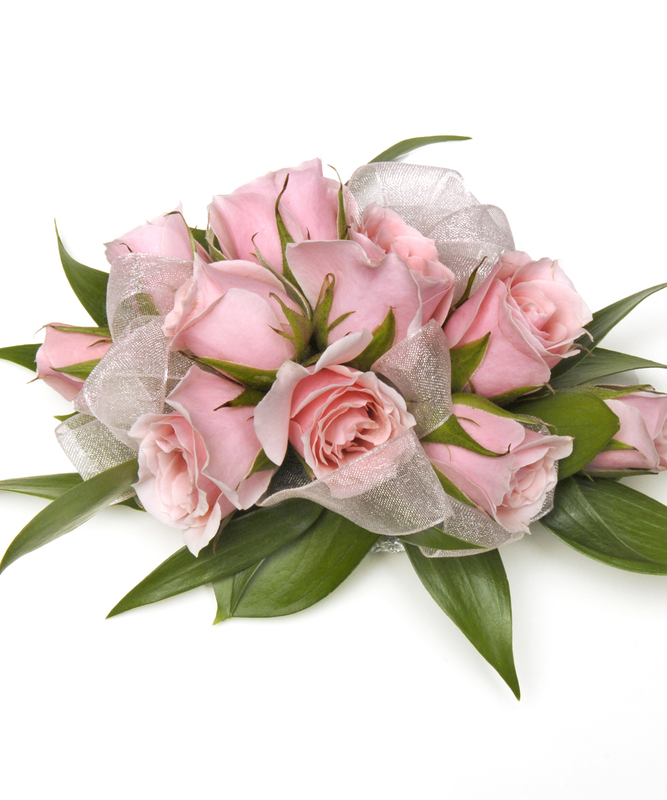 Bestowing your date with flowers for prom is one of the few prom practices that is still carried out today. 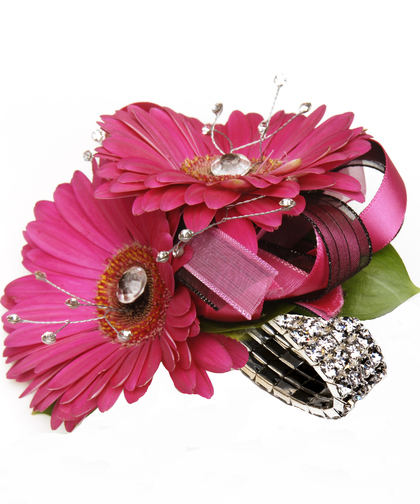 A traditional corsage for girls and boutonniere for guys is customary for prom night. 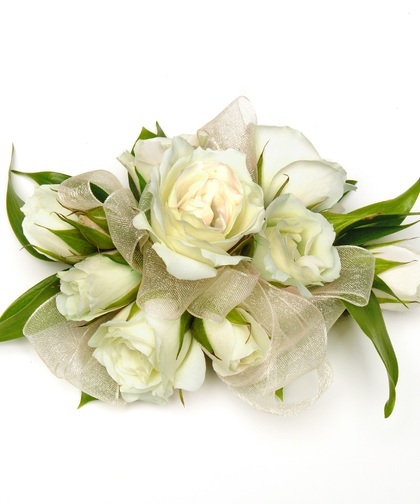 Carithers Flowers offers the best selection in the Atlanta metro area for prom bouquets, corsages, wristlets, and boutonnieres to match every style and color dress and tuxedo. 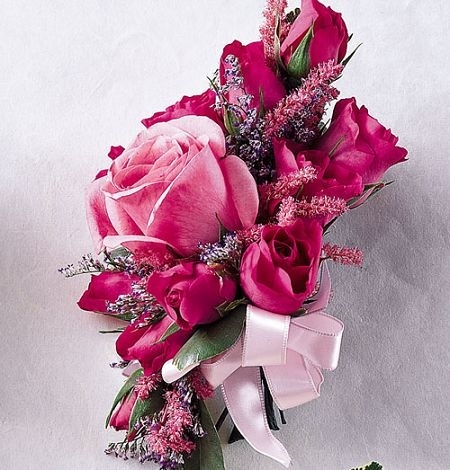 Our Pink bliss corsage features dark and light pink roses, finished with floral accents and pink ribbons. 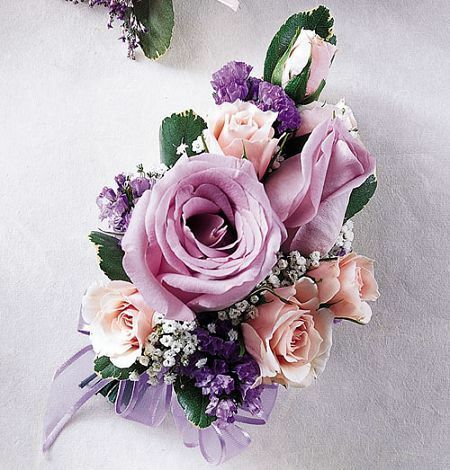 A classic corsage of tea or spray roses in pink and lavender, finished with a sheer lavender bow. Featuring a cluster of white dendrobium orchid blooms. 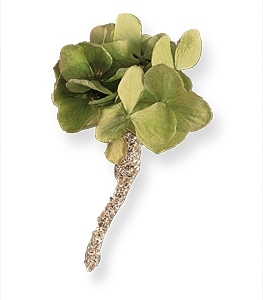 This stem-wrapped antique-green Hyrdrangea bloom boutonniere makes a sophisticated and modern statement. 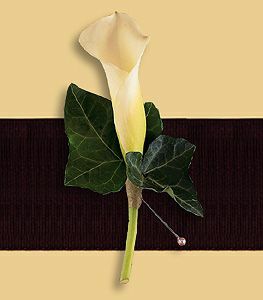 A very popular and modern boutonniere, featuring a single white mini calla. 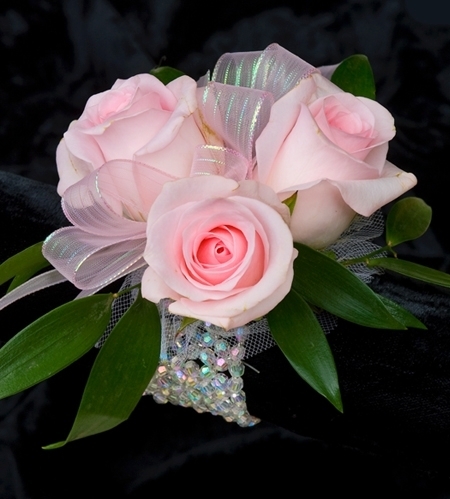 Call Carithers Flowers at (404) 418-7443 or go to www.carithers.com to place your prom flowers order today. Voted Best Atlanta Florist, Carithers Flowers offers same-day deliver in the metro-Atlanta area including Acworth, Alpharetta, Austell, Buckhead, Canton, Conyers, Decatur, Duluth, Dunwoody, Kennesaw, Lawrenceville, Marietta, Norcross, Roswell, Sandy Springs, Smyrna, Stone Mt, Tucker, Woodstock.